Catalonia’s dismissed separatist leader Carles Puigdemont was in Brussels on Monday (30 October), a Spanish government source said, as prosecutors called for him to be charged with rebellion over his drive for Catalan independence. The news came as Madrid took political control of the region, after declaring that Puigdemont and his separatist regional administration were dismissed on Friday, shortly after the Catalan parliament declared independence. On Sunday, Belgium’s immigration minister suggested Puigdemont could receive asylum in Belgium on the grounds that he might not get a fair trial in Spain. On Monday the Spanish government source told AFP that Puigdemont “is in Brussels”. Catalan daily La Vanguardia reported that he was accompanied by others from his former administration. 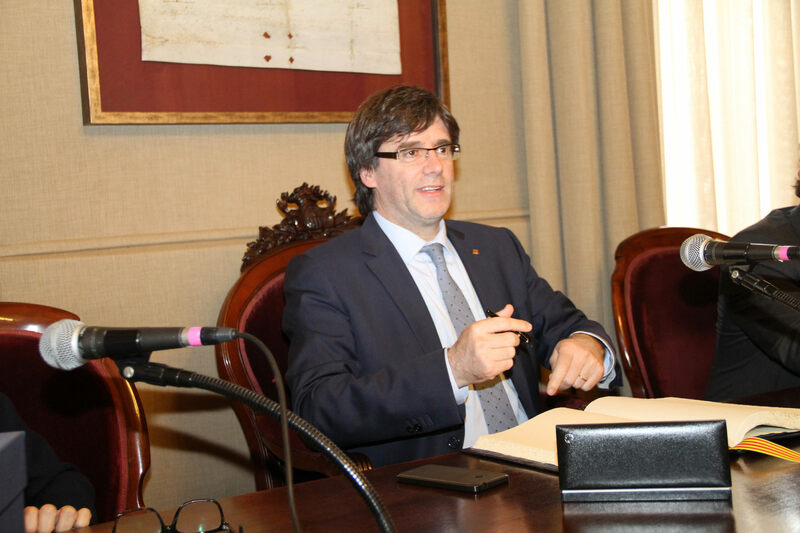 La Vanguardia said Puigdemont and his officials would make a declaration on Monday afternoon. Puigdemont, 54, said the result of an outlawed independence referendum on 1 October gave the region a mandate to declare independence. Madrid and the Spanish courts said the referendum was illegal and that a unilateral independence declaration would violate the constitution. 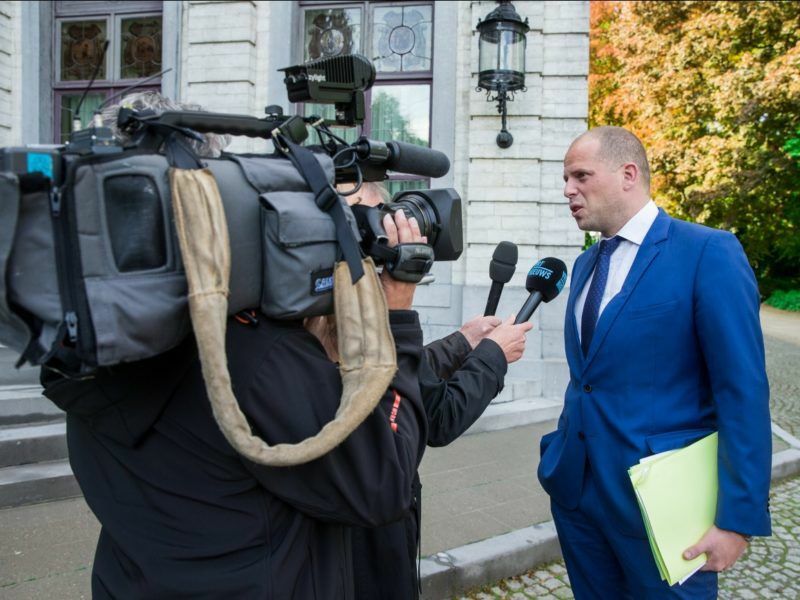 Belgian immigration minister Theo Francken, a member of the Flemish separatist N-VA party, said Sunday it was “not unrealistic” that Belgium could offer protection to Puigdemont. Belgian Prime Minister Charles Michel said an asylum request from Puigdemont was “absolutely not on the agenda”. While hundreds of thousands of Catalans took to the streets on Sunday (29 October) in favour of unity with Spain, the Catalan crisis provoked infighting in the Belgian coalition government after the Flemish nationalists offered asylum to Catalan president Carles Puigdemont. 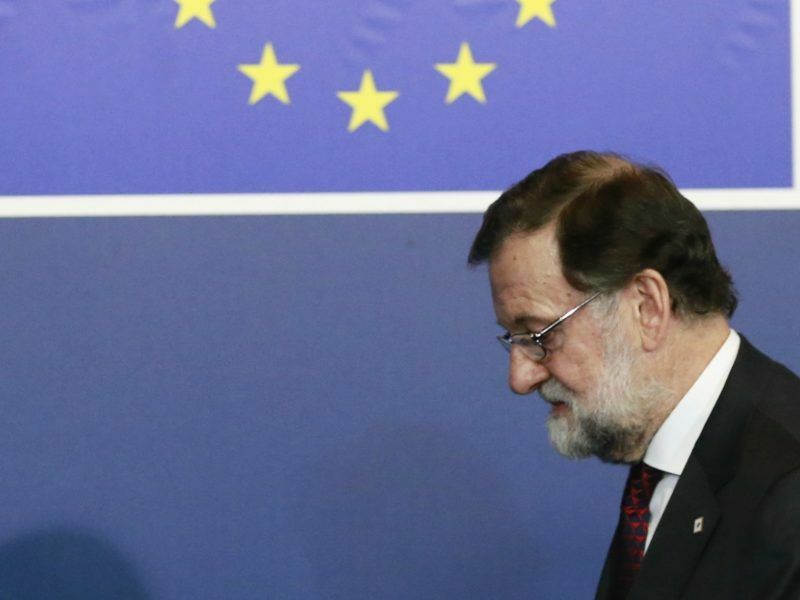 The European Union has backed the Spanish government in the Catalan independence dispute.